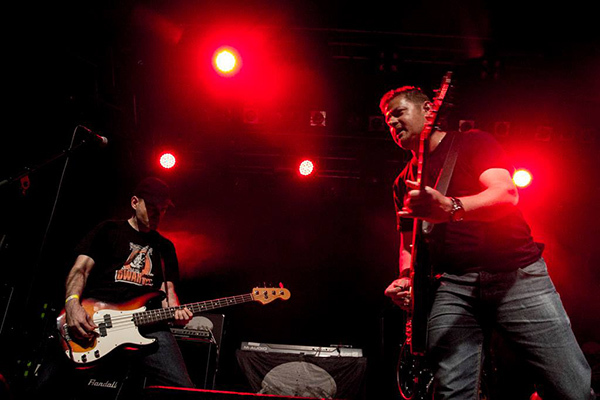 Our gig at Teenage Riot Festival (Arena, Vienna) turned out pretty good. Nice crowd, cool venue, good sound, great bands, we were glad to be there. For more awesome photos check here and here. Teenage Riot Fest – Vienna, We’re Coming! 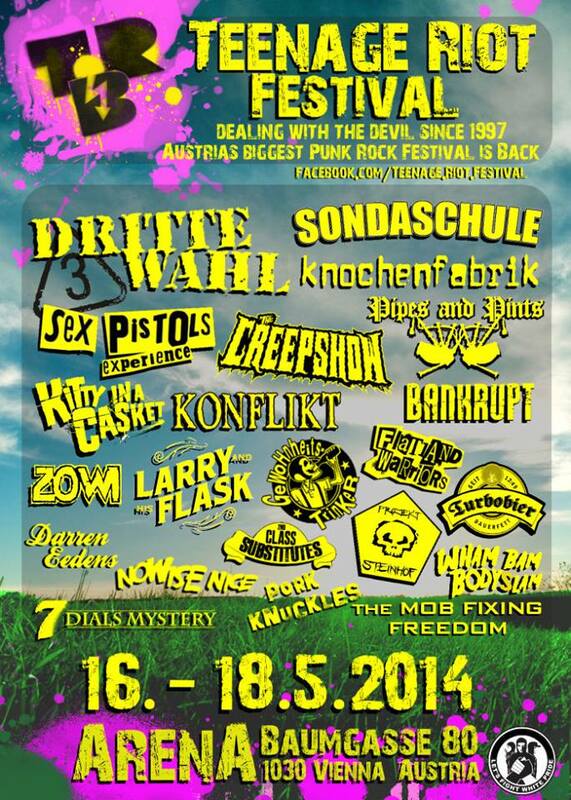 On 16 May, we’ll play the Teenage Riot Festival at the Arena in Vienna with bands like the Creepshow. The Arena is a pretty cool venue, this is where our last gig in Vienna took place about 8 years ago. If you wanna catch us, make sure to get there by 6 pm, cos that’s when we play as the 3rd band in the line-up. We recommend joining the Facebook event. Our latest song, War and Peace, is quite different from our trademark pop punk sound. After almost 2 decades of punk rock, we wanted to experiment with new sounds. So far, the experiment seems to be successful: War And Peace is the first Bankrupt track to surpass the 1,000 playcount on SoundCloud, thanks to nice reviews on Thought Catalog, Hits In The Car, and Backseat Mafia. Let’s start the year with a sentimental retro guitar pop song about the most empathetic girl in the world!